Whether you’re into martial arts, or self-defense you understand that you must work to develop a respectable level of physical prowess in order to handle yourself in a combat, or fight situation. This should go without saying and you should work to enhance this trait in order to accelerate the learning curve and to enhance your abilities when it comes time to apply yourself. 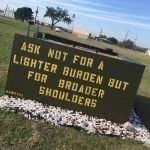 Being hit by a surprise attack is an awful scenario to think about, but at the same time if it is something you are taking the time to think about then you should want to work at being fully prepared and capable. If you’re already jumping into the water then you’re all in anyways, so you might as well apply yourself and utilize every resource to enhance and propel your self-defense and combat fitness needs. Deadlifts are a key movement to perform to prepare yourself for most any life situation. I’ve found over my career that this is one lift women also really seem to excel at in terms of relative strength. Don’t misunderstand that. Relative strength is a direct measure of the ratio of weight being lifted compared to how much the trainee (in this case you) actually weighs. In these terms I’ve seen many advanced female lifters pull a significant amount of weight off the ground relative to their bodyweight. This is what I mean by relative strength. Deadlifting provides great value to you physically and will help you to develop a strong pillar/core, a stronger layer of posterior muscles (glutes, hamstrings, back), and a more powerful grip for pulling and grappling. Aside from being well-trained in self-defense one big key to being able to handle an opponent, or in this case an attacker, is having a stronger body that is better built for grappling. The pillar strength you develop from deadlifting along with the posterior muscles really hones your ability to be able to forcefully pull a mass towards your body. This may sound counter-intuitive to self-defense…after all why would you want to pull a mass, or an “attacker” towards you? Well the point here is that it’s not about necessarily pulling them towards you to get up close and personal, but rather to be capable of pulling their limbs and torquing their extremities to better execute more devastating joint locks and submissions to dismantle them so that you can put yourself in a better position to escape. This comes from specific strength and the deadlift will provide that for you. Women have the ability to produce a high level of relative strength with deadlift. Get your technique dialed in and for strength gains perform 3 to 6 sets for 3 to 5 reps at a higher intensity one to two days a week. When it comes to fitness the standard push up is a staple to most any well organized strength and conditioning program. There’s a reason the military, along with every martial arts academy on the planet incorporates push ups into their training. Contrary to what many believe push ups are actually more of a total body exercise designed to train you to produce pillar/core strength, rigidity, and overall body control. Being able to produce tension throughout your body by creating rigidity is something that is incredibly valuable for fighting and for being a more functional athlete in general. This trait is critical for you in a self-defense situation where you need to be able to be strong and able to fight through a scenario. 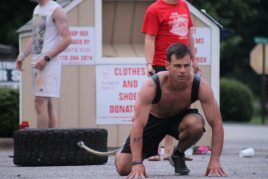 The push up exercise is powerful for producing this very trait and has been field tested and proven with fight, combat, and military athletes for many many years. If you want a solid example Herschel Walker performed push ups his entire life and used variations of the push up movement to help propel him to be the greatest collegiate running back of all time while it also helped him to start to compete in professional MMA in his late forties. For peak performance and to enhance your self-defense and combat needs get in the habit of performing push ups frequently. Within a given training session I like to perform push ups as a finisher on more upper body oriented days. Execute 3 to 6 sets of 15 to 20 reps as a good finisher. Of course, you can scale the intensity and volume to match your individual ability and fitness level. If there is one skill that is invaluable to women’s self-defense it’s the skill of speed. Speed is defined as the rate at which something or someone is able to move or operate. In terms of strength this is about training your ability to increase force production. Once you’ve mastered your ability to perform the standard push up, the next level of performance is to become proficient at performing a plyometric push up. So why is this important for self-defense? Once again we defined speed as the rate at which something or someone is able to move or operate. In the case of performing the plyometric push up you’re training yourself to increase your muscle’s ability to produce force by elevating your body off of the ground. The strength and explosiveness required to perform this drill is imperative for producing tremendous hand speed. 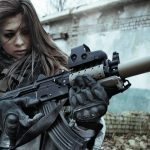 Obviously when talking about women’s performance for self-defense optimal hand speed can be a truly powerful secret weapon. In terms of attackers and suspects we always hear the term in the news “surprise attacker” whenever these losers decide to catch someone off guard. However, when you develop significant hand speed from practicing some explosive plyometric push ups this will truly give you a tactical edge in terms of performance. If you’re already training self-defense on a regular basis by incorporating plyometric push ups to enhance your hand speed and overall self-defense performance you will be more capable of offering a more devastating surprise attack of your own to the surprise attacker! Remember that more hand speed equals more devastating hand strikes to an attacker. Once again, I like incorporating these into more upper body oriented training days, but they are great to practice purely during bodyweight strength training sessions. Perform 3 to 5 sets of 4 to 7 reps of the plyometric push up. You can also scale the intensity be a bit less stressful on the joints by starting out practicing pushing yourself off the side of a bench. With your hands being elevated further off the ground there is more weight distributed to your feet so there is less load on your upper body. Once you have gotten proficient with doing them off the bench then you can start to transition to doing them directly on the ground from a normal push up position. When it comes to being optimally functional for fighting and for athletics in general being able to get off the ground while comfortably handling yourself while on the ground is crucial. 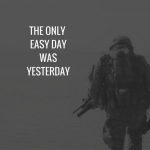 If you’re looking at using Jiu Jitsu in self-defense then this falls directly in line with the quote that I used from Jocko Willink to lead off this post. Part of any self-defense scenario is going to involve some element of grappling. God forbid, but if an attacker is able to take you to the ground then Jiu Jitsu is going to be a wonderful weapon for you to actually feel somewhat comfortable in what is obviously a very uncomfortable situation. Why is this the case? Well, as you may know, Jiu Jitsu is all about you being comfortable fighting on the ground. Obviously as a self-defense mechanism you want to be able to leverage Jiu Jitsu in order to dismantle your attacker and to get to your feet in order to escape. Obviously being able to do this requires you to be proficient, well trained, and well practiced at Jiu Jitsu. However, when you combine your Jiu Jitsu practice in your women’s self-defense along with the power and functional strength development of practicing the Turkish Get Up (TGU) you will be capable of getting out of most any ground based situation with physical prowess and complete confidence. The TGU enables you to develop significant ground based agility and is also great for correcting asymmetries and imbalances in your body so that you can move with better quality and without inhibitions. Any inhibition in movement by having immobile, or less mobile joints is going to bleed you of speed and precision. You need to be optimal with movement so that you can execute submissions and escapes with precision and power. This is the value of the TGU. To sum it up the TGU is an extremely powerful weapon to place in your training toolbox to help get you out of a bad situation…and depending on your level of training can help you flip the scenario so that you can make an attacker regret their decision to have ever try to take advantage of you. TGU’s are a great exercise and can be programmed for a number of different purposes. 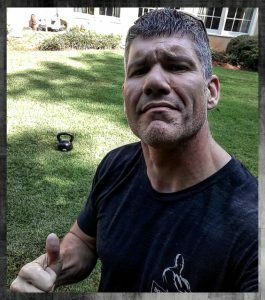 I would encourage regular practice in performing the TGU with lower intensity (lighter weight) utilizing either a kettlebell, or dumbbell for 6 to 12 repetitions on each arm. For greater intensity I would scale the volume, but not emphasize the increase of weight until your TGU movement and technique is really solid for a higher volume. The bottom line is that when addressing your women’s self-defense training strength should be an integral part of your process. The application of athletically specific strength training as we’ve included here with your self defense is only going to make you significantly more confident and capable should a dangerous attack occur. The smart application of strength performance is only icing on the cake. I hope you found this article to be helpful and if so please leave a comment below about what strength training you’re currently doing for your self defense training. Also if you want to learn more, make sure to visit me at my website! 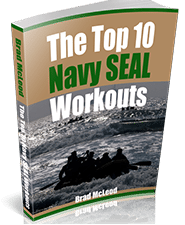 If you really want to step up your self-defense performance and capability, get SEALGrinderPT’s 90 Day MMA Strength And Conditioning Program! 90-Day Strength and Conditioning Program for MMA athletes was developed by Brandon Richey of Brandon Richey Fitness for SEALGrinderPT. This amazing program is also perfect for anyone training in kickboxing, Muay Thai, Jiu Jiu Jitsu, combat fighting—or anyone wanting a high-level training program! Click on the banner above and GET STARTED! This 90 Day Program will drastically improve your performance 8 weeks into it…Guaranteed! Part of being a bada** is making sure you have a good foundation of nutrition. Here at the SGPT Underground Bunker, we supplement with Athletic Greens! One scoop powers you up with 11 important superfoods and essential vitamins and amino acids, keeping you healthy and on track with your nutrition goals. QUESTION: The thing I struggle with is nutrition and supplements. What would suggest regarding vitamins and protein, and meals? Thank you for taking the time to read this. ANSWER: Check out this article: Tips to Healthy Fat Loss. We also have an awesome 60-Day Clean and Healthy Eating program that makes everything easy for you because we outline meal prep, nutrition, protein intake. QUESTION: So hypothetically, if your family kept saying to you “you can’t be a navy seal ever”. What’s a good way to not let it get to you? ANSWER: Don’t let their own doubts be yours. People who say “you can’t” or “you’ll never” are usually talking about themselves. That’s why we feel it’s best to get rid of as many negative people in your life or learn how to ignore them.